Country’s largest insurer Life Insurance Corporation of India (LIC) has launched a non unit-linked single premium product Jeevan Vaibhav with minimum premium of about 95,000 Rs/-. LIC’s Jeevan Vaibhav is a close-ended single premium endowment assurance plan which offers guaranteed benefits on death and maturity along with Loyalty Addition, if any, payable on maturity or on death in the last policy year. The plan would be available for a limited period only up to a maximum of 120 days. This policy will be eligible for Loyalty Addition on date of maturity, rates and other terms will be declared by the Corporation. The minimum age at entry for the plan is 8 years while the maximum is 65 years. The minimum premium under the policy is Rs 95,210 with no upper limit. Policy term will be 10 years and Maturity amount will be approximately double than premium paying amount. So, overall this policy also gives same type of return 6-7.5 % like most of endowment plan. If you think from return prospective it is not advisable to purchase this policy, Mutual funds or even FD for 10 year can give even more return compare to Jeevan Vaibhav plan. Risk cover by Jeevan Vaibhav policy is just two times of premium paid which may not be sufficient considering your income. It is not advisable to purchase this policy for risk cover Term plan is more suitable option for risk cover. If you look at this policy from tax prospective, it lacks the current Budget modifications. As per current provision to avail deduction under section 80C your premium should 10% of SA. This policy does not fit in this if you opt for Rs.1000000 SA then your premium should be within Rs.100000 which is not possible from this policy. So if you are planning to purchase this policy from tax saving don’t purchase this plan. (1) This plan is giving you returns between the range 6-7.5 % No Tax benefit under sec 80C. (2) Currently when Bank tax saving FDs are giving 9.5-9.75% tax free returns and 80C rebate is also available, I don’t feel LIC Jeevan Vaibhav is a good plan. (3) The term for this plan is also fixed for 10 years. If you buy this policy for risk cover you have to again buy another insurance plan after 10 years to cover yourself, at that time it will cost you a fortune. (4) With current inflation index this product may not beat inflation. (5) As you will be investing all money at single go for 10 years you may lose opportunity to invest in some better financial product may come during this time period. Over all this policy don’t provide you enough risk cover, return and tax benefit. Think twice before purchasing this policy. I hope I have empowered you with enough calculations, reasons to invest or reject LIC Jeevan Vaibhav. Now better take informed decision and that too for the betterment of your finances. 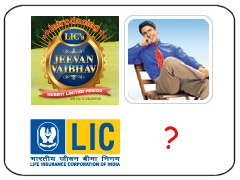 If you have any questions related to LIC Jeevan Vaibhav or any other life insurance policy – feel free to add it in comment section. Intrest Earn up to 10000 Rs/- from saving bank account is tax free.Fix deposit taken for 5 year is also one way to save tax under 80C. As per budget provision 2012, Deduction u/s 80C in respect of life insurance policy issued on or after 01-04-2012 not to be allowed if premium is in excess of 10% of the actual capital sum assured. Read IT provisions of 80C. There is tax rebate limited to the 10% of the sum assured if premium is more than that. Tax benefit is not zero. Post Tax return will be 5.95% (Highest Tax Slab:-30%). If your risk appetite is low, you have adequate protection cover & you are not falling under Income Tax or come under lower tax slab you may go for this plan.